Sculptor Gerson Frank On Love And Art Gerson Frank, the 89-year-old sculptor, recently traveled to Washington, D-C to view two pieces he has in the Smithsonian's collection. But the trip gave him the chance to fulfill another dream. 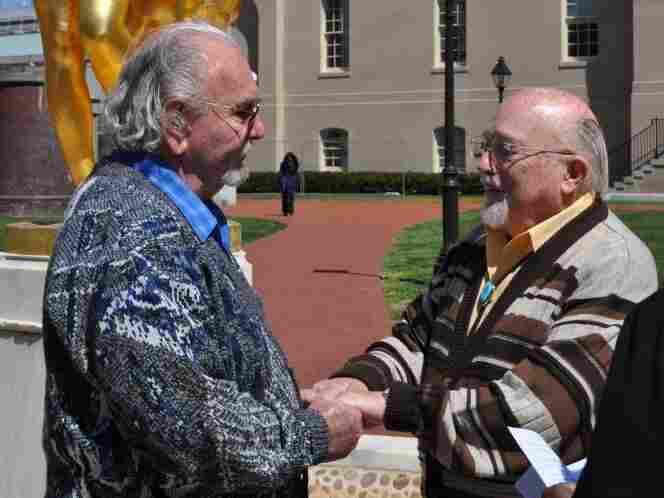 Gerson Frank (right) and his partner, William Aberbach, exchange wedding vows in Washington D.C.
Gerson Frank is 89 years old. He's a talented sculptor and WW II veteran — and now a newlywed! 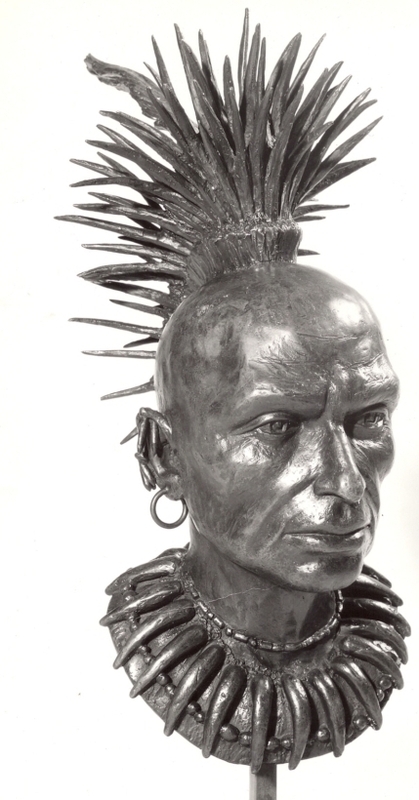 Two of Frank's sculptures are part of the collection for the Smithsonian Institution's National Museum of American Indian. Frank recently came to Washington, D.C. to tour the museum, traveling with his partner of over 30 years, William Aberbach. While they were in town, they decided to get married. Frank also found time for a "Wisdom Watch" conversation with Tell Me More host Michel Martin. Bronze bust of Chief Keokuk, sculpted by Gerson Frank in 1978. He talked about tying the knot after all these years. "We thought about it for many years but living in Florida – ain't gonna happen. So when we had the opportunity to come to here, we said this would be a good opportunity to get married, and so we did." Frank said that the secret to a successful relationship is compromise. He also claims that he and his new husband Bill have never had a fight! "I lean on him and he leans on me, which is beautiful," Frank added. Frank also spoke about his art. He started out as a painter but realized he could make more money with sculptures. After Frank created a bronze sculpture of an American Indian figure, "it sold like hotcakes," he said. Today, Frank said his work is less about the money, and more about pleasure of creating art. "People have said to me sometimes with my Indian heads... there's a certain amount of me in those portraits, which is very flattering," Frank said. "I put myself in them."